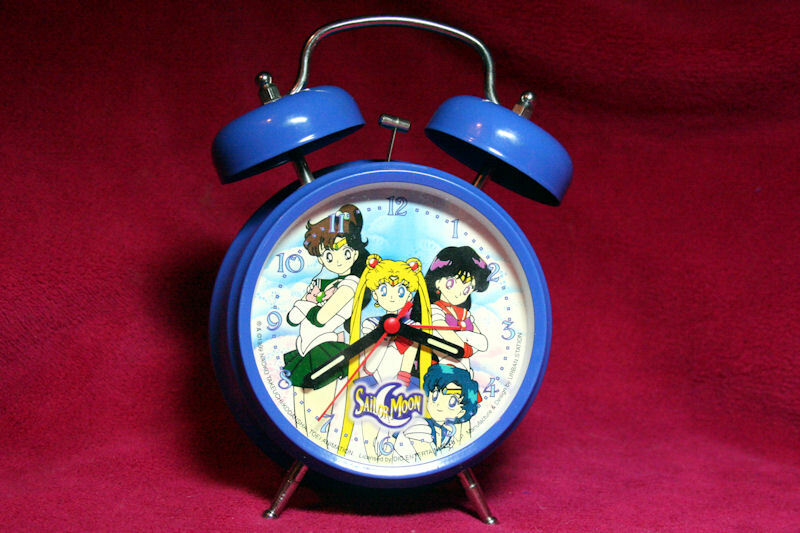 Dic Clock – MoonFigures Collection, Art, and Reviews! 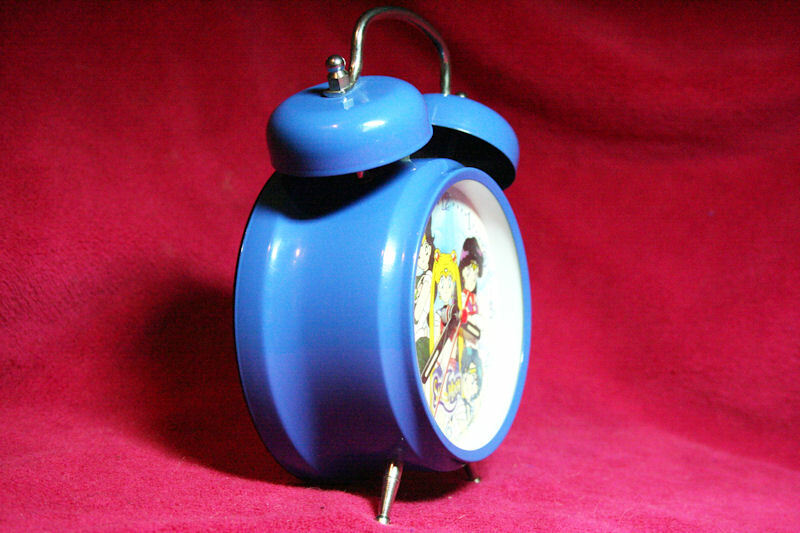 Single arm alarm: Arm must be positioned in the correct position for the hour hand. For example, half way between the 4 and 5 to set for 4:30. There is no way to set for AM or PM. This clock is adorable. 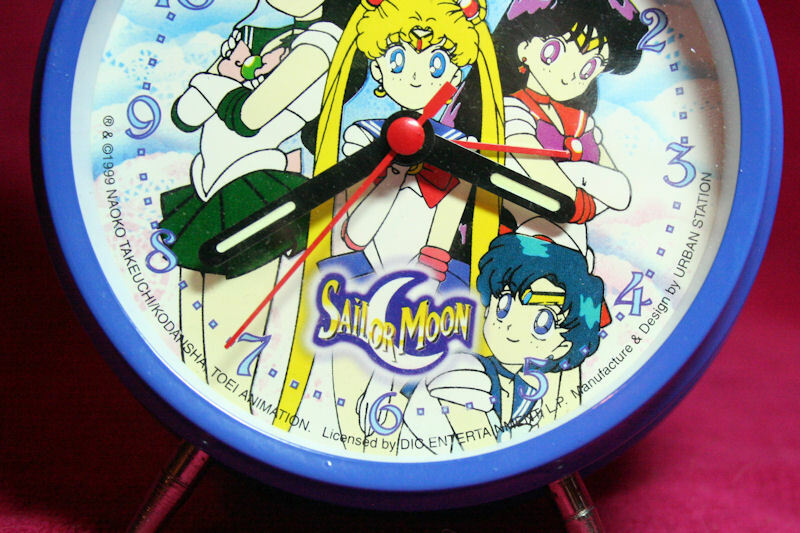 I never got it with it’s original packaging, but despite that it’s still in wonderful condition considering it is used. 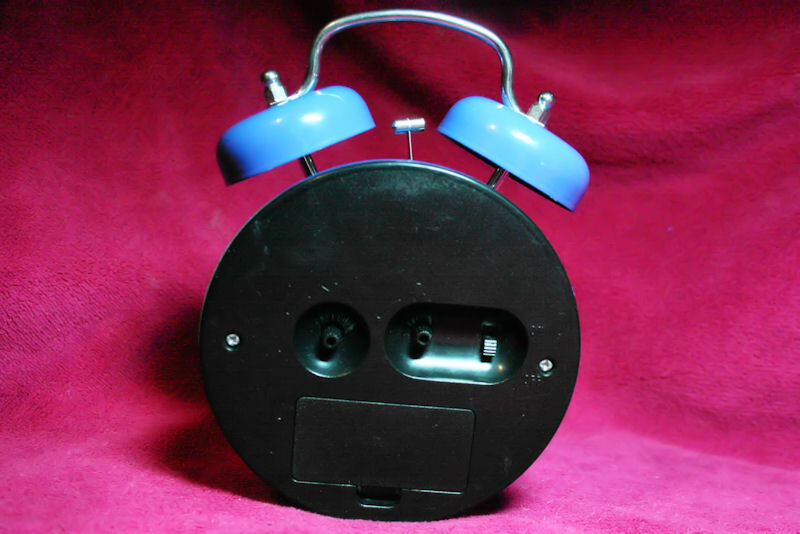 It takes C sized batteries and has manual settings on the back to twist the arms on the face. The small red arm is for the alarm. If you recognize the image it is a commonly used image. There is also a puzzle with a mirrored version of this drawing. The photo of the back shows the battery compartment as well as the three buttons that control it’s functions. The first sets the time, the second sets the alarm, and the third is the on/off switch for the alarm. I find these buttons need to be tugged or pushed on slightly in order to twist them and change the arms.